Posted by tateat on Thursday, June 7, 2018 in News. Congratulations to undergraduate students Faith Rovenolt on being awarded a VUSRP fellowship, and Abby Perry, Emma Blackford, and Ana Torres on NSF-sponsored REU fellowship awards to conduct research in the lab this summer. Congratulations too to Justin Critchlow on being awarded a VI4 mini-sabbatical fellowship to continue his promising work on flour beetle microbiomes in collaboration with Seth Bordenstein’s lab. 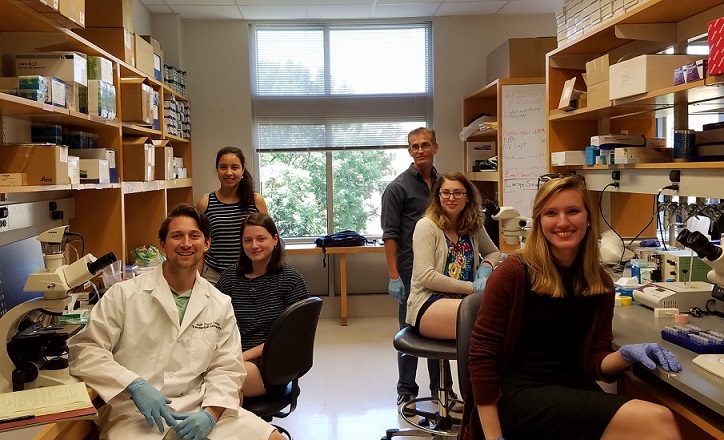 Everyone is hard at work this summer investigating interactions among co-infecting parasites and the host immune system!